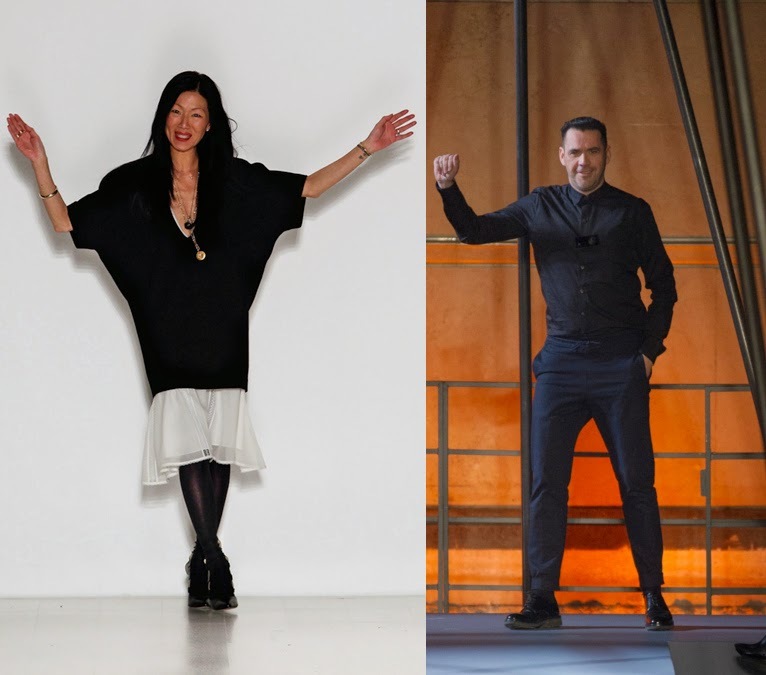 From left: Designers, Marissa Webb and Roland Mouret. Marissa Webb seems to be one New York designer who just landed one her most important yet riskiest jobs of her career that could take her to the top (not that she hasn’t already) of the fashion industry. Just this week, she was announced as the new creative director of Banana Republic. The profits at Republic haven’t been all that sweet for quite a long time. And to be honest, I tend to forget the brand still exists when you have other mega retailers like Express, H&M, and Zara capturing all the attention. The brand does need a major renovation, and Marissa Webb seems to be the ideal person to do the job investors are looking forward to seeing: attention, uniqueness, and money. Having been the formal womenswear head designer at J.Crew – a position of glory for anyone – for 11 years, she later decided to leave the corporate and start her own eponymous line, which can now be seen at Barney’s New York and marissawebb.com. Her personal brand is about mixing masculinity and femininity in effortless manners that turn out to be youthful to say the least. She has an eye for tailoring, but most certainly the eye to know what’s going to sell. In other words, she has a great sense of marketing techniques that could take Banana Republic to the level of its other competitors. It’s a resume I’m eager to see when her new spring 2015 collection unveils. For the meantime, you may want to stop by Banana Republic when the new Roland Mouret - known for its sensual body-hugging dresses - capsule collection hits stores this August 2014. The collection (pictured above) will comprise of skirts, tops, pants, and dresses that will range from $49.50 to $165. Mouret’s glove fitting tailoring is said to be included here too. H&M is the one who knows though how to make a designer capsule collaboration explode like no other. And for its new fall capsule collection, Alexander Wang has been confirmed as the next designer (and first American) to collaborate with the giant commercial retailer. The retailer has always had a great taste for making affordable clothes that have become a sensation in street style blogs, and Mr. Wang lives for the urban luxury lifestyle. The two coming together sounds like the perfect collaboration we’ll be craving for when the whole collection debuts November 6, 2014 throughout 250 H&M stores and online. It will include both men’s and women’s clothes. 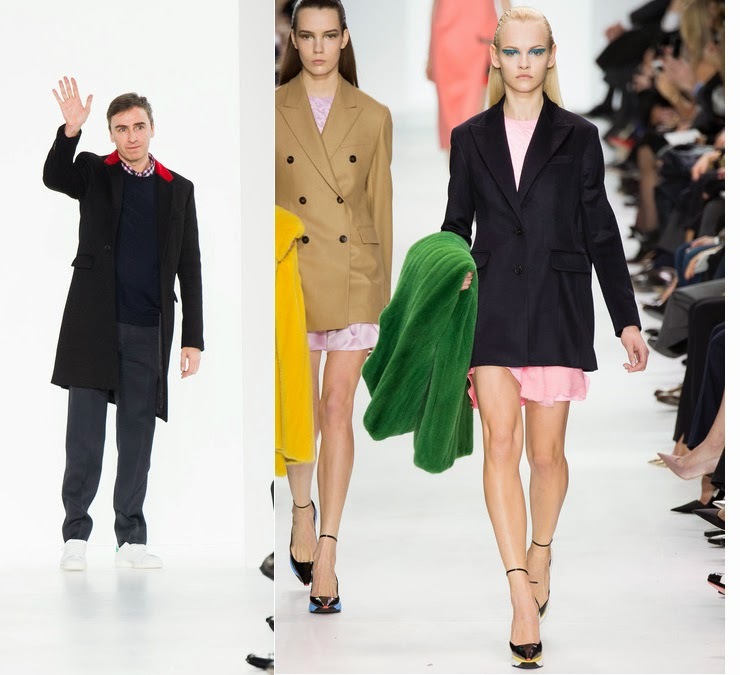 In other fashion news, Raf Simons is set to be bringing his upcoming Christian Dior Resort 2015 collection to the U.S. New York is the state where the show will be taking place on May 7. But more shockingly is the specific city he chose…………Brooklyn. And yes, in the same exact location Alexander Wang recently presented his fall 2014 collection in case you were wondering. “We wanted the show to feel very New York, and the Navy Yard’s view and space captures the city,” explained one of the spokesperson for the brand. Mr. Simons himself has been reshaping the identity of the new Dior with easy, ladylike, and modern clothes that capture the lifestyle of what women today need as they move along. And the American culture marinated into the strictly chic Parisian’s house codes sounds like an exquisite challenge only Raf has the imagination to achieve. This will be the show to watch. Personal fashion blog that focuses on the most talked about runway reviews inside men's and women's fashion through a Southern point of view (somewhat); I also love talking about food. ©COPYRIGHT 2014 STYLED AND FRAMED. ALL RIGHTS RESERVED.